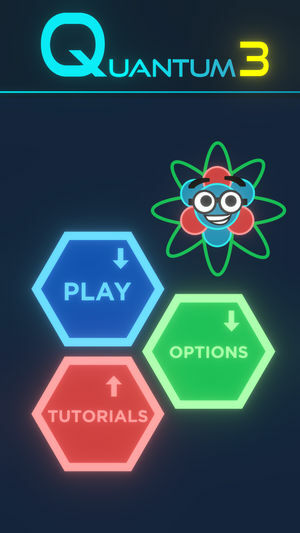 Quantum 3 is an educational match-3 game for all ages where fun meets quantum physics! 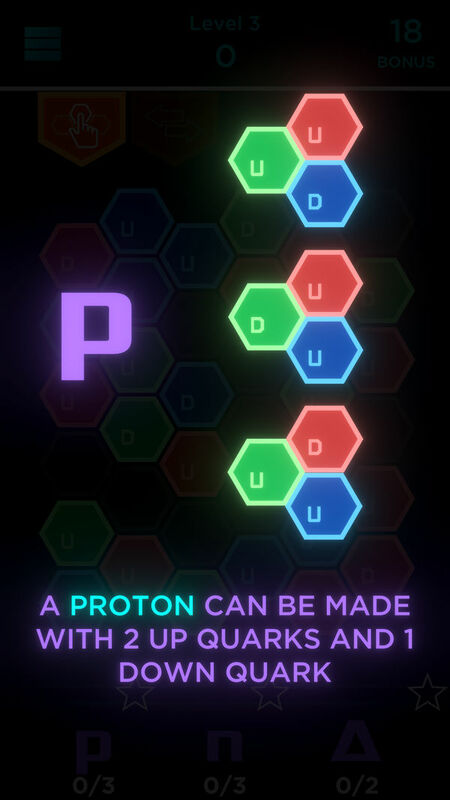 Build subatomic particles, learn about the mysteries of fundamental physics and deploy antimatter to clear the way! 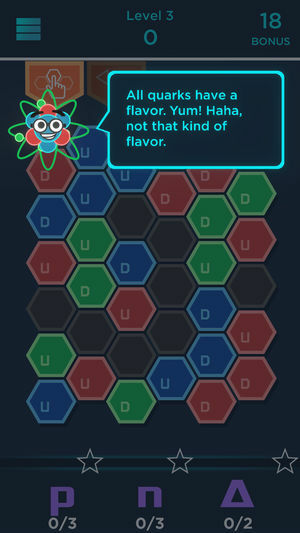 You’ll match and swap quarks to make (and learn about) the baryons you need for each objective. Puzzle out the quantum properties of color, flavor and spin. So get in there and start your quantum-venture! 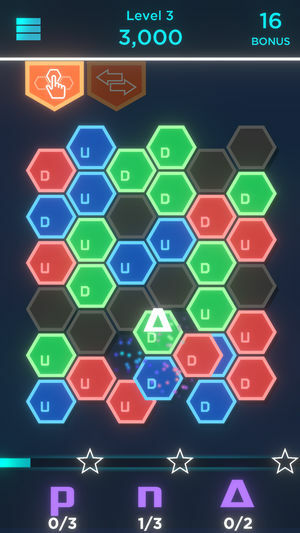 Quantum 3 is puzzle-matching at its finest and a great intro to the world of particle physics! The game is free-to-play with no in-app purchases. 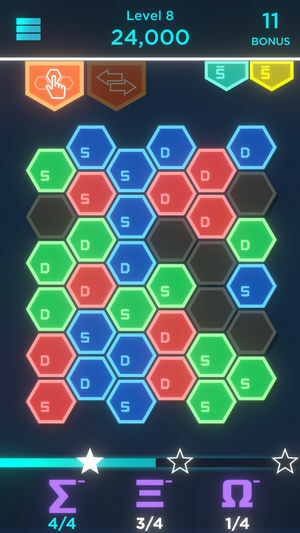 The game is developed at Michigan State University by the Games for Entertainment and Learning Lab and is funded under grant PHY 1653405 by the National Science Foundation.